For the past few years I have participated in the Reverse Thieves’ Anime Secret Santa project. This group blogging experiment pairs up bloggers who recommend anime for each other to watch and review, only it’s done Secret Santa-style, where you don’t know who your recommendation is coming from. Each year I’ve gotten really good picks that I have enjoyed watching and reviewing; however this year’s Anime Secret Santa choices were particularly hard to choose between – it seemed that my Secret Santa zeroed right in on my brainwaves (which is ironic given the series I chose to review, you’ll see why in a bit) and picked three really good shows that sounded really interesting to me but that I had somehow passed up. The first, Spice and Wolf, was a character-driven fantasy/romance that seemed perfect given my love of other shows with great character chemistry. But since I had recently been watching some more lighter fare I was ready for some hard-hitting action/thrillers. Fortunately my Secret Santa did not disappoint, as they picked two very action-oriented series, Psycho-Pass and Mirai Nikki. I literally could not decide which one to watch and review… so I left it up to chance and flipped a coin. Fortunately, Psycho-Pass won out. 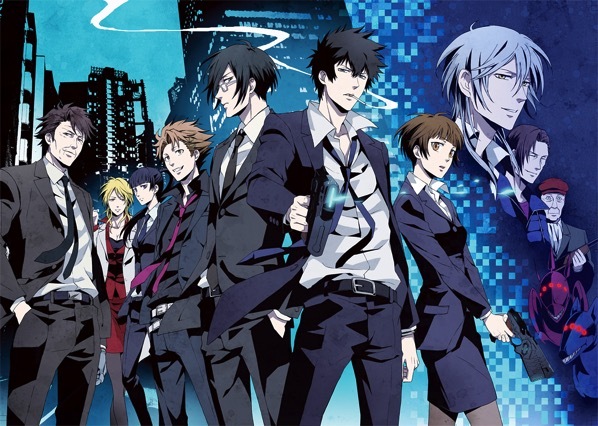 Psycho-Pass is set in a near future, in a seemingly perfect world, where citizens are assured a safe environment and a bright future thanks to the Sibyl system. A person’s mental state can be instantly scanned and quantified, and such scanning is done routinely. If a person’s “hue” (mental health) becomes clouded this causes their “crime coefficient” — a measure of how likely they are to commit a violent crime — raises. Individuals with a cloudy Hue and a high crime coefficient are either incarcerated and treated or — if their values are particularly high — eliminated. However some latent criminals choose instead to work with the Ministry of Public Security as “Enforcers,” who work under “Inspectors,” and use their criminal knowledge and tendencies to help track down other criminals. Meanwhile the rest of the citizenry live a seemingly peaceful and secure life, with Sibyl managing every aspect of their lives, including education and career choice. Those of you who’ve been visiting this blog for some time are probably wondering where a certain something is. Namely, the 12 Days of Kurisumasu, that yearly tradition of ours that ostensibly is there to help give you gift ideas (either for other people or for yourself) but is in fact a thinly-veiled attempt to hawk our various affiliate advertisers. Hope everyone out there has a safe, happy and healthy holiday season, and we wish you all the best for the New Year! It is Monday, October 12 as I write this, which means that we are, theoretically anyway, deep into fall, and will soon be thrust into winter. I say “theoretically” because, at least where I live, it sure as heck doesn’t feel like fall. We’ve been in a seemingly perpetual heat wave for the past few months, and it is showing no signs of letting up. Still, people are going about making preparations for Halloween and the holidays to come. And so are the retailers. Yes folks, I’m starting to see promotions coming up for Thanksgiving and — even worse — Christmas. GAHHHHHHH!!!!! Well, at least there’s one good thing to come out of this holiday madness. (Well, that plus the actual fun parts of the holiday itself — giving (and receiving) gifts, eating delicious foods, catching up with good friends, etc.) 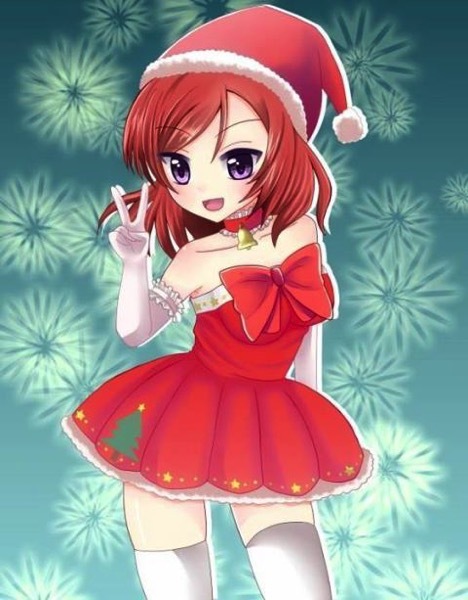 Yes, you guessed it, The Anime Secret Santa project is back! Basically the Anime Secret Santa project involves a bunch of bloggers (and perhaps podcasters too) who get together and put their names into a virtual hat, which the Reverse Thieves then proceed to mix up. They then pair off bloggers, and ask each of them to recommend an anime for the other to watch. The trick is that they don’t tell them who the recommendation came from. Once you have your anonymous donors’ recommendations in hand, you then proceed to pick an anime off their list, watch it and review it. Yes, exactly like that whole Secret Santa thing, which you are undoubtedly familiar with. (After all it’s probably been used as a plot device in at least a few Christmas-themed anime episodes…) The idea is to get people to step outside their comfort zones if you will, and watch and review shows they may not have considered before, and to get to know your fellow anibloggers and maybe even get some cross-blog promotions/interactions going on. It’s a great way to find out about anime that, maybe you might not have considered before, but ended up liking a lot. (Or maybe you hated it, and then you can write a really scathing review. There have been some pretty hilariously epic ones.) Plus it’s a lot of fun. All entries are due by Saturday, October 17th (that’s in less than a week!) so you better hurry! Check out the Reverse Thieves blog post for full details and where to send in your entry. Naturally, if the fates allow it, Otaku no Podcast will be participating this year as well. And we hope that you will too! Update: we’ve finally nailed down a time when we’re all able to get together and record our AX wrap-up of Doom. (Better late than never!) And I think (knock on wood) I’ve gotten to the bottom of my computer problems. So look forward to a new podcast episode soon! By now, hopefully everyone has checked out our latest Cool Find, and are having fun with it. I sure am, as you can probably guess by my Twitter feed. (By the way, if you haven’t seen it yet, please do check it out.) I wanted to throw together a quick list of tips, tricks and techniques that I found helpful, and that I hope will help other new players as well. This guide is meant primarily for beginners, though you might want to glance through it even if you’ve been playing for a while – you might learn something. (Or, at the very least, maybe you’ll spot a glaring error that I made, and you can correct me.) Also, some of these hints may seem obvious, but you never know, maybe there are things that some people find “blindingly obvious” that others don’t. Finally, some of what I say below may be repeats of what people have said in some of the other guides out there. Again I am doing this as a convenience for new players, so that you can get as much information as possible here in one (hopefully) easy to read place. (Plus some of the guides may seem kind of intimidating, especially to newbies.) I would definitely still read the various guides out there, once you’ve gotten into the rhythm of the game, if you’ll forgive the pun. Well, it’s been something like over 9,000 years since our last poll, so I figured now would be a good time to have another one. 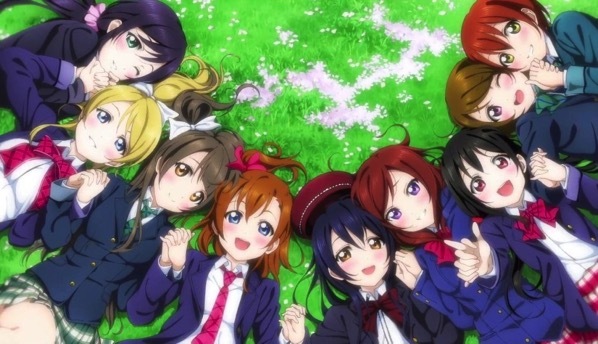 And, in the spirit of yesterday’s Cool Find (which you really oughtta check out if you haven’t already) today’s poll is yet another one of those “Who’s your favorite (blah)?” polls… this time, we will be deciding which of the 9 μ’s members shall reign supreme! (coughUmicough) So vote away! Please, only one vote per human, no fancy browser/IP hiding/VPN/etc. tricks, etc. blah blah, you get the idea. Unfortunately, due to further scheduling conflicts, and a suddenly-very-flaky computer (random spontaneous crashes, makes it really difficult to do stuff like record/edit audio and video) I still haven’t been able to get our AX 2015 coverage online. I’m hoping to have the computer problems sorted out soon, so that I can at least finish posting AX pics and video (not sure it’s worth it to do our usual audio recording at this point, since we’re now 2 months past the event itself, but I may change my mind.) In the meantime though, I have yet another Cool Find for you! So pull up a chair and stay awhile and listen as Uncle Donald spins another of his famous long-winded yarns before actually getting to the point of this whole article, as he is wont to do. When the whole DDR craze hit, I was just entering my Second Wave of Anime Fandom, having recently come back from a (less than stellar) attempt at getting a higher education, and with very little to do except mope about town while taking computer classes at the local community college and working odd jobs. It was then that I reunited with some of my old disreputable friends from school (yes Scott, I’m talking about you 🙂 ) and where one day, as we were randomly shooting the breeze, I happened to start talking about my first love, he turned to me and said “So, you like that kind of stuff, huh? Well you really oughtta check out this ‘anime’ stuff… here, you can borrow these…” And the rest, as they say, is history. Where was I? Right. Late 90s/early 2000s. I was pretty much locked into the anime fandom by that point, and had started branching out into other things like JRPGs and video games in general. I started going to anime cons right around this time as well. Back then I remember DDR machines popping up pretty much everywhere you went — arcades (those few that remained by then, that is… sniff), pizza parlors, bowling alleys… I think even my community college rec room had one at one point. And when the home release came out, it instantly became a staple at anime con gaming rooms across the land. But when portable game consoles came on the market, and decent rhythm games started showing up there, that’s when I finally started getting in on the genre. True, you didn’t get the same kind of physical exercise as you did when playing DDR, but playing a rhythm game on a portable device was still just as fun, and the lack of physical exertion meant that there was little to no con funk potential involved. It also could be done solo — while most rhythm games had a multiplayer component (either using a console’s built-in wireless networking, or the tried and true “hand your console off to the next player” method) most games could be played single player, where your “opponent” is either the computer, or yourself (i.e. beating your own score.) One of my all-time favorites is the K-On! game for the PSP. I played the heck out of that thing, that is, until my PSP broke. I also discovered that, contrary to my beliefs, I was actually a pretty decent rhythm game player (which was another reason why I didn’t really feel like getting into the genre in the first place.) 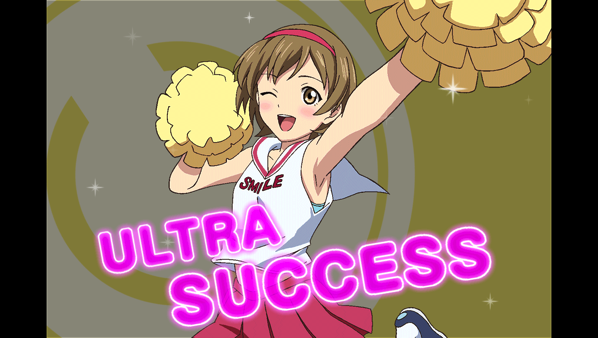 No, I can’t pull off those m4d 1337 Hard mode Full Combos you see on the YouTubes, but I have gotten to a point where I can consistently get high ranks on easy and (most of the time) normal, and have even managed to low-rank on an Hard level song every now and again. Fast forward to today. Nowadays, just about everyone is carrying around a device just as powerful, if not more so, than most portable game consoles. Yes, I am speaking about smartphones and tablets. And developers have taken note. Even longtime mobile gaming holdout Nintendo has started putting out mobile titles. (a moment of silence as we mourn the passing of Nintendo CEO Satoru Iwata) Mobile gaming is big business, and just about everybody wants in on a piece of the action. This brought about a huge explosion of mobile titles, including – yes, you guessed it – rhythm games. A rhythm game is a perfect fit for a touchscreen device like smartphones and tablets — tapping on-screen buttons is even easier than dealing with actual physical gamepads, plus the quick nature of rhythm game play sessions (most rhythm game songs are in the 1-2 minute range) fits perfectly with the short play sessions typical of smartphone gaming (e.g. you play in brief spurts when you have a few minutes, waiting for the bus, in line at the grocery store, etc.). Unfortunately many of these titles are only available in the Japanese app stores. But even if you could buy an app on the Japanese app store (which is certainly possible, there are companies that can help make that process (relatively) easy for both iOS and Android users) there is still that language barrier to overcome. We now have some great companies like JAST and MangaGamer that are localizing PC and console content. Unfortunately the same can’t be said for mobile games. Which is why we rejoice on those few occasions when a developer sees fit to bring their title to a wider audience outside of Japan. Such an event has happened recently, and it is based on none other than that über-popular multimedia franchise that has pretty much dominated the Internets lately, Love Live! In case you’ve just woken up from a years-long coma, or been living in a cave in the Himalayas or something, Love Live! is a ridiculously popular multimedia franchise, consisting of manga and light novels, anime, a hit movie that recently came out in theaters, and a metric crapton of music CDs, DVDs and Blu-rays. It tells the tale of high school student Honoka Kosaka who, when she hears the news that her beloved high school will be closing soon due to lack of applicants, decides to form an idol group, µ’s (pronounced “Muse” — and no, I’m not talking about these dudes) to try and generate interest in her school and attract new students — and maybe, just maybe, win the nationwide Love Live! idol competition. It’s pretty much the only thing the people I follow on Twitter have been talking about recently, and so I finally broke down and watched the anime — and I liked it! Cute, lovable characters, a down-to-earth and heartfelt story, pretty and shiny animation and above all else, some really catchy music. It may not be everyone’s cup of tea, but if you can be persuaded to step outside your comfort zone even a little, you should watch it — you might just like it. Well the latest property to join the Love Live! franchise is none other than Love Live! 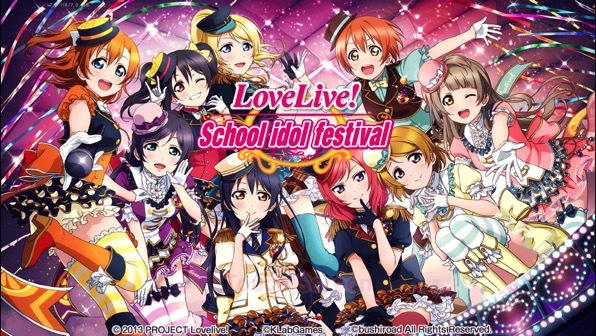 School Idol Festival, a rhythm game put out by Bushiroad and KLab on both iOS and Android. And – good news for all us non-Japanese speakers — not only did they make the app available in non-Japanese app stores, they went one step further and localized (translated) the app into English, Chinese and Korean. So now everyone can play along! But there’s another portion to this game too. 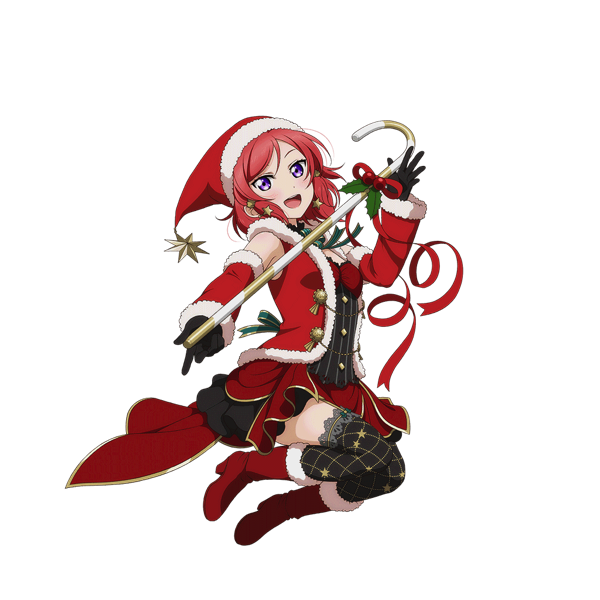 Your idol unit is composed of cards, which you get as rewards when completing songs, or you can “scout” (i.e. random draw) for them using friend points and Love Gems, which you win at various stages throughout the game. Most cards are “normal,” meaning they have no special abilities; but there are also Rare, Super Rare and Ultra Rare cards that you can get that give you special bonuses or powers when placed on your team, such as a chance to increase your score or relax the timing or recover lost stamina periodically; with enough of these, you can survive (and maybe even score decently on) even Expert level songs. Cards can also be leveled up to increase their stats and special abilities. In this respect the game has kind of a Pokémon aspect to it (“gotta catch ’em all”) or something like Magic: The Gathering or similar type of collectible card game. Finally, there’s also a visual novel-esque component to the game. As you go through the main story, which involves the 9 members of µ’s, you unlock new songs to play and you also obtain various rewards. Also, as you play songs, you increase your “bond” with the cards on your team; when you’ve maxed out a particular card’s bond, you unlock that character’s side story, which you can view for additional rewards. The game can be played alone, but there are regularly occurring “events” (usually about two every month, lasting about a week apiece) where you can compete against others (in sort of a tier/ladder type format) and win some cool prizes, including unique super-rare cards. But regardless of whether you play it alone or go gonzo and dive headfirst into each and every event, you’ll have a lot of fun. The game works well even on older devices, the graphics are shiny and cute, and the songs are catchy as hell. You’ll recognize a lot of them from the anime, as well as the various music CD/DVD/Blu-ray releases if you’re familiar with those. Get it today for iOS and Android – it’s free! (Yes, there are in-app purchases – you can buy Love Gems, but you really don’t need to, it’s pretty easy to get them in-game without paying a thing, sometimes as easy as just logging into the game.) And if you like, feel free to friend me up! My friend code is 767074992, and provided that I still have enough space on my friends list, I’ll be glad to friend you back. Need help getting started or learning how to play? This guide on the LLSIF subreddit (there’s a subreddit for everything apparently) is very helpful, as is this guide by Twitter user @sproutella. Finally, YouTuber ErynCerise has a great series of videos on how to play the game, build and optimize your teams, play the various types of events and so on. I’ve been putting out this blog and podcast for over 8 years now, and in that time, I’ve had a lot of fun, met a lot of really cool people, and even managed to learn a thing or two. But it’s also left me with one major regret — not being able to bring great content to you on a regular basis. The reality is that, unlike some of the big-name podcasters out there, I cannot make my living off of the podcast alone. Which means that, in order to keep a roof over my head, put food on the table and pay those oh-so-pesky bills that tend to show up regularly, I have to keep up a Real Job™ just like the rest of you. This leaves me with very little spare time in which to do the podcast, and almost no money to put towards it (remember those pesky bills?) And this really upsets me. But as I was thinking about this the other day, an idea suddenly hit me: why not do the trendy thing and crowdfund? It seems that every day more and more anime and video game projects are jumping on the crowdfunding bandwagon, and for the most part they have been quite successful. So, never one to shy away from the latest trend, we’ve set ourselves up a Patreon campaign. Patreon is similar to the other crowdfunding sites out there (Kickstarter, IndieGoGo, etc.) except it is specially geared toward creators of episodic and/or periodic media-type content – books, music, TV shows, movies, YouTube videos, and, yes, podcasts as well. Rather than just a simple one-shot contribution, Patreon contributions are regularly reoccurring, either episode-by-episode or month-by-month. The idea is that if you support your favorite project on Patreon (such as Otaku no Podcast) you in essence become a patron of the arts, similar to how, in the olden days, artists, sculptors, painters, musicians, etc. would find themselves a rich benefactor who basically supported them in exchange for them creating works of art for them. Similar to Kickstarter, etc., there are multiple levels of funding available to choose from. You can donate any amount, as low as $1 per month; but if your donation meets or exceeds a certain level, you get certain perks. For example, donate $1 or more (the base amount) and we will add your name to the Patrons’ Wall, a new section on the Otaku no Podcast website where we’ll put the names of our wonderful supporters. (Not much there now, so don’t bother going to it yet.) Donating $5 per month or more will not only get you a spot on the Patrons’ Wall, but we will also announce your name and publicly thank you on an actual podcast episode. And so on. “But what about the ad banners?! What about the affiliate links (Amazon, etc.)? !” you might say. Unfortunately these just don’t generate the kind of steady source of income that I would need in order to bring about the improvements I’d like to make around here. So please, become a Patron today and help support this blog and podcast. You can help us out for as little as a paltry $1/month. There is no contract or anything like that; you can change your contribution level, or even cancel entirely, at any time. And if you’re not up for a regular monthly commitment, there are plenty of other one-time ways you can help out – by purchasing products from our various affiliates, or with a donation. All of those can be found on our How You Can Help page. Finally, if you are unable or unwilling to help us monetarily, we would still appreciate your help in other ways as well; spread the word about us, post about us on your blog or on forums and so forth, and rate and/or review us in the various podcast directories (e.g. iTunes) and app stores. However you choose to help us, we very much appreciate it. You guys (and gals) rock. 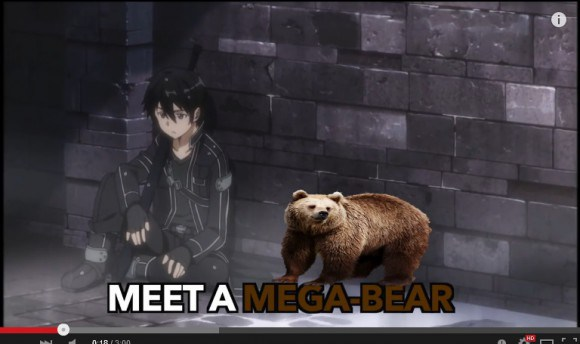 Cool Find: Misheard Song Lyrics, Anime Style! When listening to music, it’s not always easy to pick out what the artist is actually singing, even under the most ideal circumstances (i.e. when a singer isn’t shouting into his mike like they do in death metal or whatever.) Back in the good old days, one would have liner notes which often had the lyrics printed on them. These days, of course, we have the always-on, always-available Internets, and thanks to various websites we can instantly look up a song’s lyrics. Still, there have been some pretty humorous misheard lyrics over the years, one of the most famous being from Jimi Hendrix’s song “Purple Haze,” where he sang “Excuse me while I kiss the sky,” but which most people humorously misheard as “Excuse me while I kiss this guy.” The popularity of misheard lyrics continues to rise, because some of them can be pretty damn funny. You can look through quite a bunch of them at the apporpriately-named website Kiss This Guy. Thanks, guys and gals at RocketNews24 and AzukanoAMVs. You totally made my day. Continue reading Cool Find: Misheard Song Lyrics, Anime Style! Ordinarily, we get together to record our giant review/wrap-up/opinions/etc. podcast session of Doom on the weekend right after AX; however, this year, that was impossible, as San Diego Comic-Con was held the weekend after AX — which is somewhat unusual, Comic-Con usually happens more towards the end of July — and some of our esteemed panelists were unavailable since they attended Comic-Con as well. (Hopefully they have large reserves of stamina and/or a large supply of energy drinks.) We hope to schedule our wrap-up podcast within the next week or two, though this is always difficult considering everyones’ busy schedules these days. Rest assured we’ll get our group podcast review recorded and out the door as soon as we possibly can. In other news, I’ve had a chance to review the photos and videos that I took, and they all came out beautifully. For once, I managed to not take over 9,000 photos! Unfortunately this was for a kind of lame reason; I accidentally left all but one of my camera’s memory cards at home. But the good news is that since I now only have a few hundred photos to cull through, rather than thousands and thousands of them, there is actually a good chance that I’ll be able to find the time to go through, edit and post them. Look for those to come out over the next few weeks. Unfortunately you’ll have to go to our Flickr page directly for those; the Flickr gallery on our own website quit working a couple of WordPress updates ago and I haven’t been able to find a replacement that I like as much as our old one. For our videos, you’ll likewise have to check in to our YouTube channel directly as well. And finally, keep an eye on our Twitter and Facebook, we will post announcements when various bits of our AX related media (podcasts, photos, and videos) goes live.